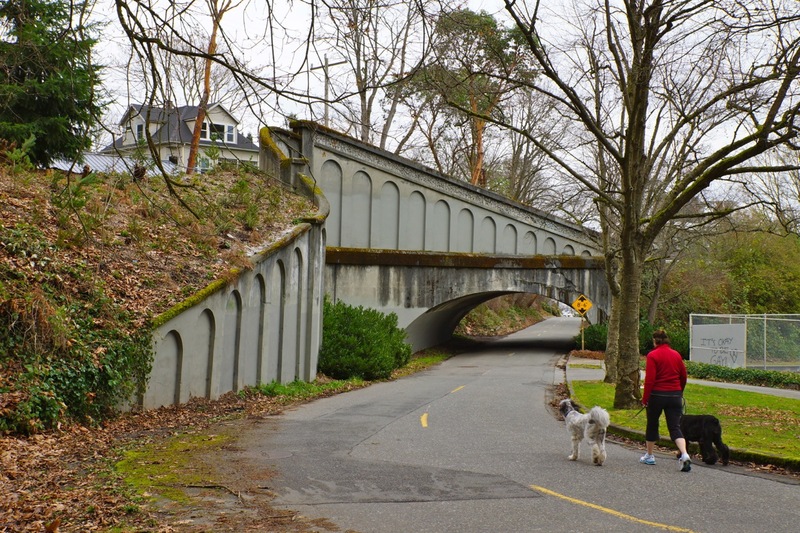 Artifacts from the past can teach us a lot about walkable, transit-oriented spaces. There’s an abandoned cable car bridge in Seattle (pictured here in multiple views) that’s long captured my imagination, and I think I’ve finally worked out why. In 1980’s "The Necessity for Ruins," landscape essayist J.B. Jackson explained that such leftover edifices often inspire us "to restore the world around us to something like its former beauty.” I've often written of Jackson's advocacy for the use of ruins - not for what we now call "urban exploration" of abandoned places, but to reclaim what worked before. With Jackson in mind, I often look for walkable, bikeable or transit-oriented places that are reminiscent of times gone by. Such places are so often inherent in the evolving city around us, remnants of prior land uses and infrastructure eerily similar to the kinds of projects so many cities are pursuing today. These leftovers merge with changing lifestyles, and illustrate firsthand Jackson's championing of accessible, nostalgic vestiges of an urban past. 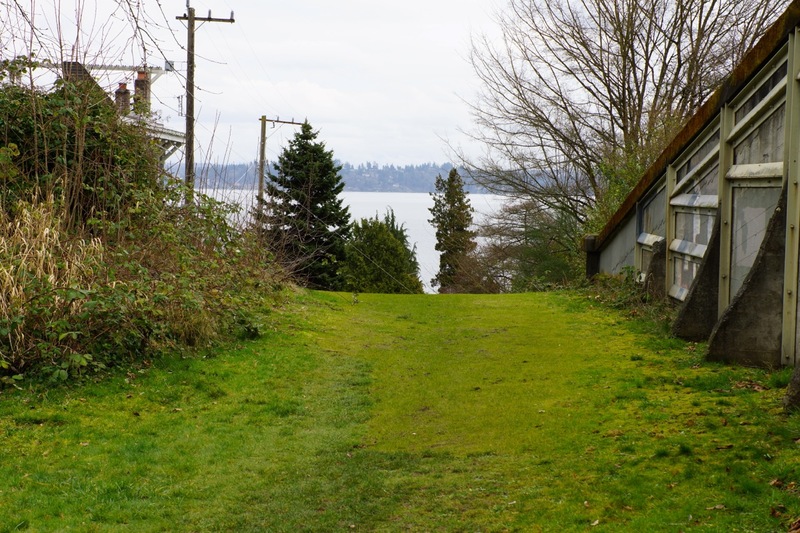 In Seattle's Leschi neighborhood (as illustrated by these photos), the city of 2012 overlays the city of 1930. As the use of automobiles increased, infrastructure, such as the former cable car bridge, went out of service. In 1940, the cable car line was abandoned and replaced by a bus line. 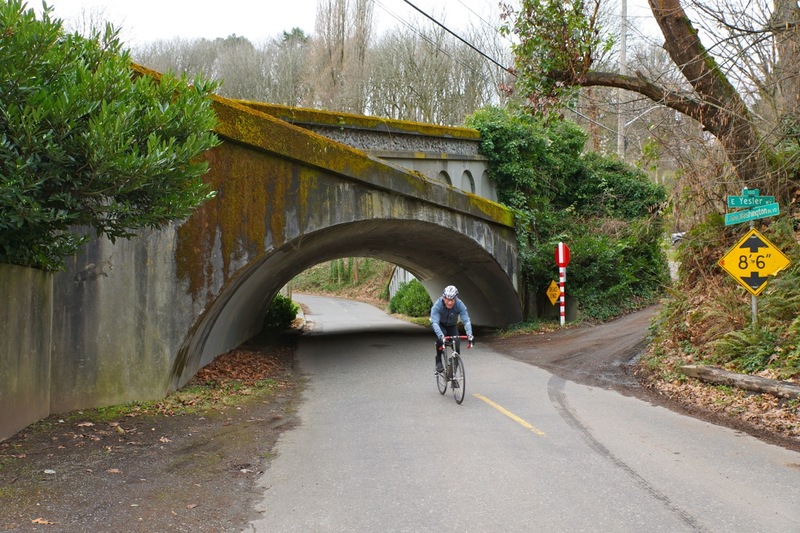 These images show the juxtaposition of the bridge, bicyclist and pedestrian. On the old track-bed, a piece of the park now continues and becomes a trail through the hillside woods above. How would Jackson interpret the cable car remains? Have they been lost to time, or are they an example of the inspirational reminder which Jackson describes? I choose the Jackson view. Nearby, today's light rail is assuming the former role of the cable car. The Sound Transit tracks proceed northward, as the build out of the region's light rail system continues. In the next decade, light rail will turn east and cross Lake Washington, not far south of the cable car's former terminus, a dock for a long discontinued trans-lake ferry. As Jackson wrote, "Ruins provide the incentive for restoration, and for a return to origins.” In much the same spirit, this old cable car bridge reminds me, every time I see it, that a transit-oriented future for Seattle is in many ways inspired by the past. Initial image courtesy of Seattle Municipal Archives. Remainder of images composed by the author.